This entry was posted in Sayings from Saints, Elders, and Fathers, St. John of Kronstadt and tagged Annunciation, Flesh, God as Approachable, God as Man, Holy Spirit, Humility, Incarnation, Servant, Theotokos on January 3, 2015 by . 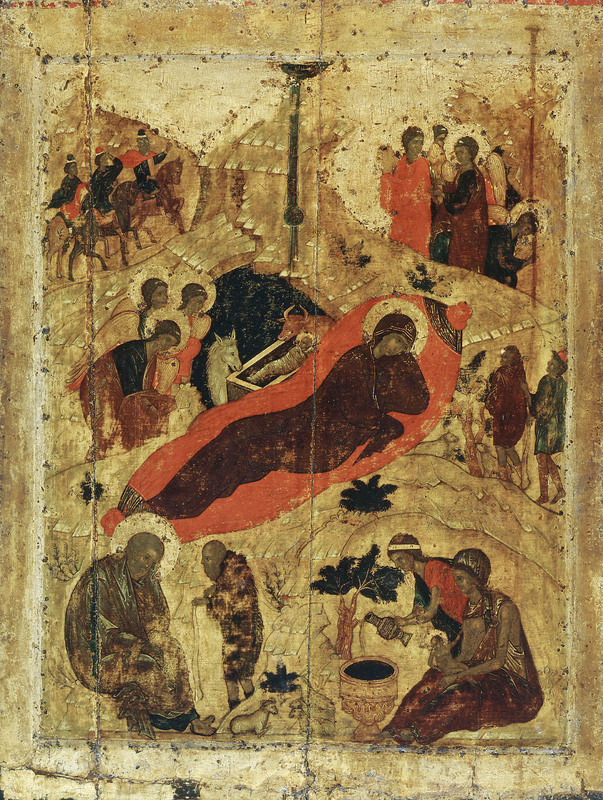 St. John of Damascus: After the normal nine-month gestation period, Christ was born . . .
“After the normal nine-month gestational period, Christ was born at the beginning of the tenth, in accordance with the law of gestation. It was the birth that surpassed the established order of birthgiving, as it was without pain; for, where pleasure had not preceded, pain did not follow. And just as at His conception He had kept her who conceived Him virgin, so also at His birth did He maintain her virginity intact, because He alone passed through her and kept her shut [Ezekiel 44:1-3]. This entry was posted in Sayings from Saints, Elders, and Fathers, St. John of Damascus and tagged Annunciation, Ever-Virgin, Nativity of Jesus (Christmas), Painless Childbirth of the Theotokos, Scripture Book of Ezekiel, Theotokos on January 3, 2015 by ocqadmin. This entry was posted in Church Prayers, Hymns, Services and tagged Anna the Prophetess, Annunciation, Entrance of the Theotokos Into the Temple, High Priest Zacharias, Theotokos, Theotokos as the Ark, Theotokos in the Holy of Holies on December 9, 2014 by . St. Germanus: Today she who will receive the Holy of Holies . . . 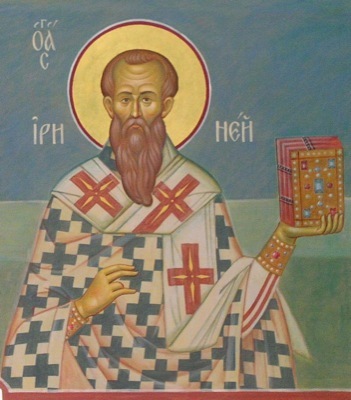 This entry was posted in Sayings from Saints, Elders, and Fathers, St. Germanus of Constantinople and tagged Annunciation, Entrance of the Theotokos Into the Temple, Holy of Holies, Theotokos, Theotokos in the Holy of Holies on December 10, 2013 by . St. Andrew of Crete: Thus the immaculate fruition issuing forth from the womb occurred from an infertile mother . . . 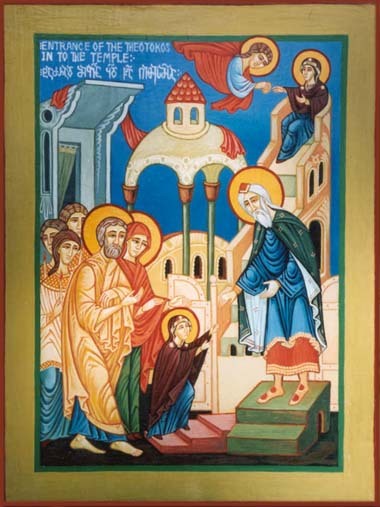 This entry was posted in Sayings from Saints, Elders, and Fathers, St. Andrew of Crete and tagged Annunciation, Betrothal of Theotokos, Entrance of the Theotokos Into the Temple, High Priest Zacharias, Nativity of Jesus (Christmas), Nativity of the Theotokos, Theotokos, Theotokos in the Holy of Holies on December 10, 2013 by . St. Germanus . . . it is there in this holy sanctuary of grace that Mary is offered to stay there indefinitely. This entry was posted in St. Germanus of Constantinople and tagged Annunciation, Entrance of the Theotokos Into the Temple, Holy of Holies, Theotokos, Theotokos in the Holy of Holies on December 9, 2013 by . In accordance with this design, Mary the Virgin is found obedient, saying, Behold the handmaid of the Lord; be it unto me according to your word. Luke 1:38 But Eve was disobedient; for she did not obey when as yet she was a virgin. And even as she, having indeed a husband, Adam, but being nevertheless as yet a virgin (for in Paradise they were both naked, and were not ashamed, Genesis 2:25 inasmuch as they, having been created a short time previously, had no understanding of the procreation of children: for it was necessary that they should first come to adult age, and then multiply from that time onward), having become disobedient, was made the cause of death, both to herself and to the entire human race; so also did Mary, having a man betrothed [to her], and being nevertheless a virgin, by yielding obedience, become the cause of salvation, both to herself and the whole human race. And on this account does the law term a woman betrothed to a man, the wife of him who had betrothed her, although she was as yet a virgin; thus indicating the back-reference from Mary to Eve, because what is joined together could not otherwise be put asunder than by inversion of the process by which these bonds of union had arisen; so that the former ties be cancelled by the latter, that the latter may set the former again at liberty. And it has, in fact, happened that the first compact looses from the second tie, but that the second tie takes the position of the first which has been cancelled. For this reason did the Lord declare that the first should in truth be last, and the last first. Matthew 19:30, Matthew 20:16 And the prophet, too, indicates the same, saying, instead of fathers, children have been born unto you. For the Lord, having been born the First-begotten of the dead, Revelation 1:5 and receiving into His bosom the ancient fathers, has regenerated them into the life of God, He having been made Himself the beginning of those that live, as Adam became the beginning of those who die. 1 Corinthians 15:20-22 Wherefore also Luke, commencing the genealogy with the Lord, carried it back to Adam, indicating that it was He who regenerated them into the Gospel of life, and not they Him. And thus also it was that the knot of Eve’s disobedience was loosed by the obedience of Mary. For what the virgin Eve had bound fast through unbelief, this did the virgin Mary set free through faith. This entry was posted in Sayings from Saints, Elders, and Fathers, St. Irenaeus of Lyon and tagged Adam, Annunciation, Eve, Incarnation, Joseph the Betrothed, Obedience, Old Testament Events, Old Testament People, Salvation, The Fall, Theotokos, Virginity, Women on August 1, 2013 by .